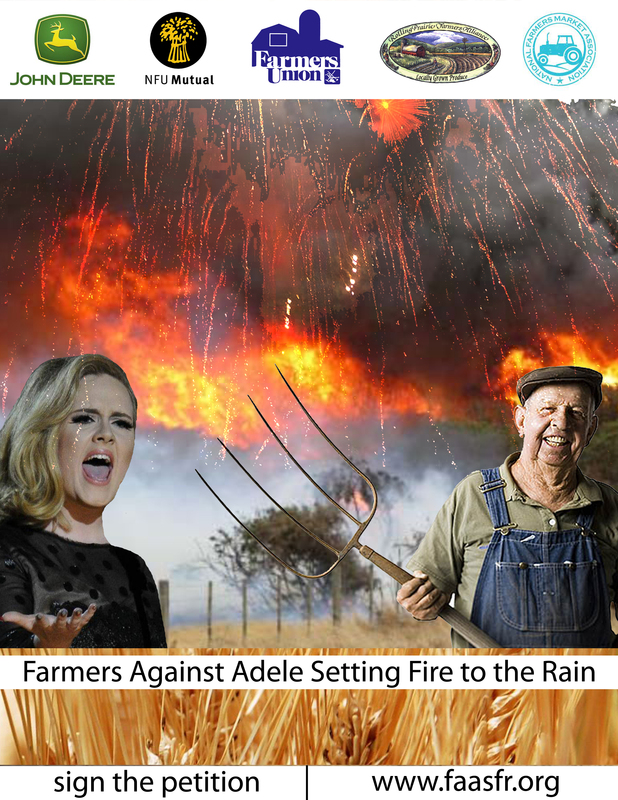 A poster was seen popping up across the mid-west late Thursday that apparently decries pop star Adele’s song Set Fire to the Rain. The poster was made through a collaboration between the National Farmers Guild, the John Deere tractor company, the National Farmers Union, the National Farmers Market Association and the Rolling Prairie Farmers Alliance. A spokesperson for Adele could not be reached for comment. This poster was seen in supermarkets and bingo halls across the mid-west on Thursday. It’s a song .Where has Freedom pof Speech gone?